The Edinburgh born midfielder began his senior career for Hearts after signing from Salvesen Boys Club in December 1964 and two years later, aged 18, he made his first team debut against United at Tynecastle. He went on to play in a variety of positions, though principally in midfield, and although never a prolific scorer, gained a reputation for grabbing last gasp goals. 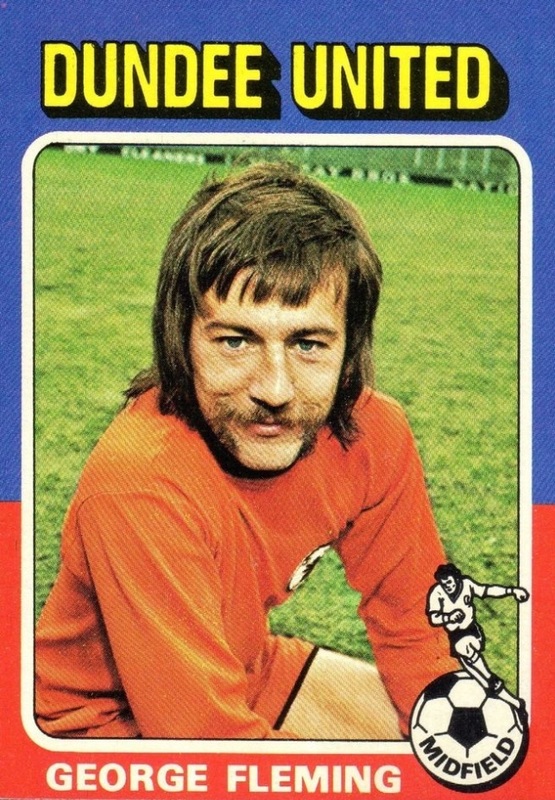 He collected a runners up medal in the Texaco Cup in 1971, scoring in the second leg of the final against Wolves. 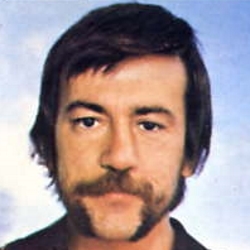 George, who signed on the same day as Pat Gardner from Dunfermline, came to United in January 1972 for a fee of around £7,000. Along with Frank Kopel and Archive Knox, they were part of a group of experienced players brought in by new Manager Jim McLean with the primary aim of improving the team, but it was also intended that they would assist the development of the young players coming through the new youth set up. He made his debut against Rangers in February 1972, becoming a regular in the line up for the rest of that campaign and for the next eight years. He soon became known for wearing a pair of white boots, long before the days of the mid-1990s when coloured boots became the norm. They were Hummel produced boots made famous by Alan Ball, and George had actually bought them as training boots, but found them so comfortable he decided to wear them on the pitch - eventually being sponsored to wear them! George played an important part in the Scottish Cup run in 1974, with two goals against Dunfermlme Athletic in the quarter final replay. He was one of the players in the side that took part in United's first Scottish Cup final against Celtic that season. 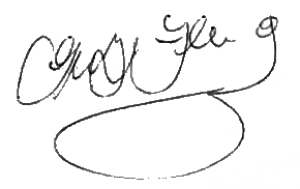 During his time at United, George played in several European matches, as the club began to make a name for themselves across the continent. 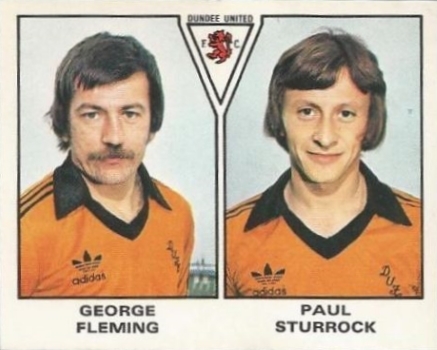 The midfielder faced opposition such as Porto, Standard Liege, and Anderlecht whilst younger players like Dave Narey, Paul Sturrock, Graeme Payne and Andy Gray began to emerge from Jim McLean’s youth policy. 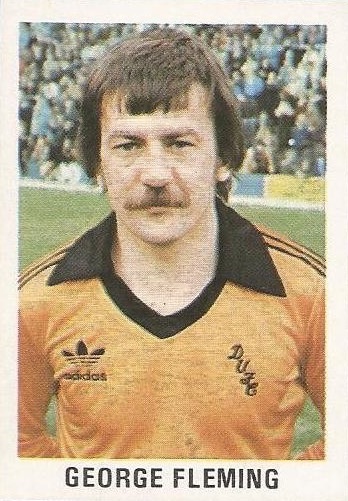 In his final season at Tannadice, he was a member of the squad that reached the League Cup final for the first time in 1979. 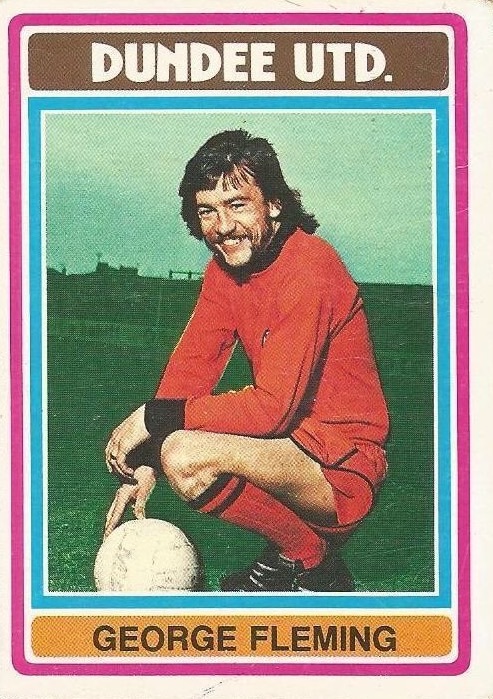 After a 0-0 draw with Aberdeen at Hampden where George came on as a substitute, he was back in the starting eleven for the replay at Dens Park and collected the first and only winner's medal of his career as United ran out 3-0 winners and won their first major trophy. After a successful career at United, George joined St Johnstone in July 1980 for a fee of around £10,000. Signed by his former United team-mate Alex Rennie, he also took up a coaching role at Muirton Park and helped the Perth side win the First Division championship in 1982-83, just as United won the Premier Division title. In December 1983, he became player/manager at Arbroath for just over a year, after which he left the game. 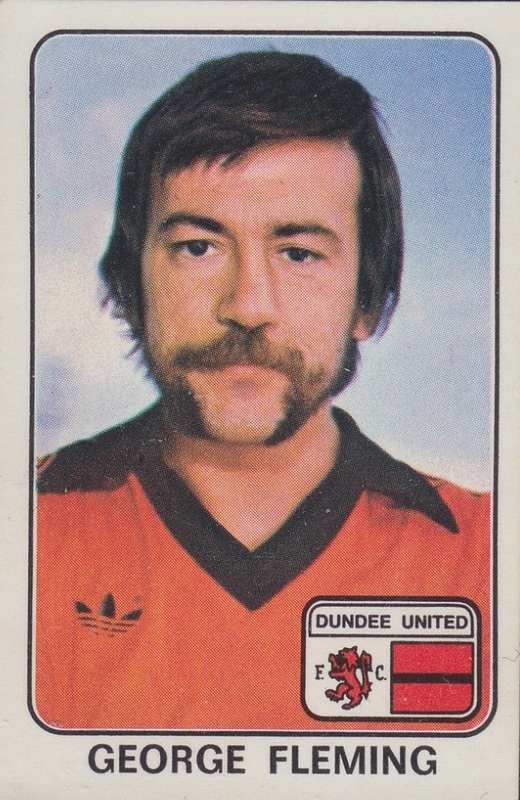 In 2013, George was inducted into the Dundee United Hall of Fame in recognition of his contribution to the club. George was born on this date in Edinburgh. A power crisis enveloped the country and due to the miners strike there was no floodlighting at Ibrox, so this was literally day-light robbery by Rangers. The Tangerines showed most of the class and made, but admittedly, spurned chances galore. The most blatant coming after half an hour when Tommy Traynor who had a blinder ran through the home defence and rounded McCloy only to cross for Kenny Cameron who headed over! 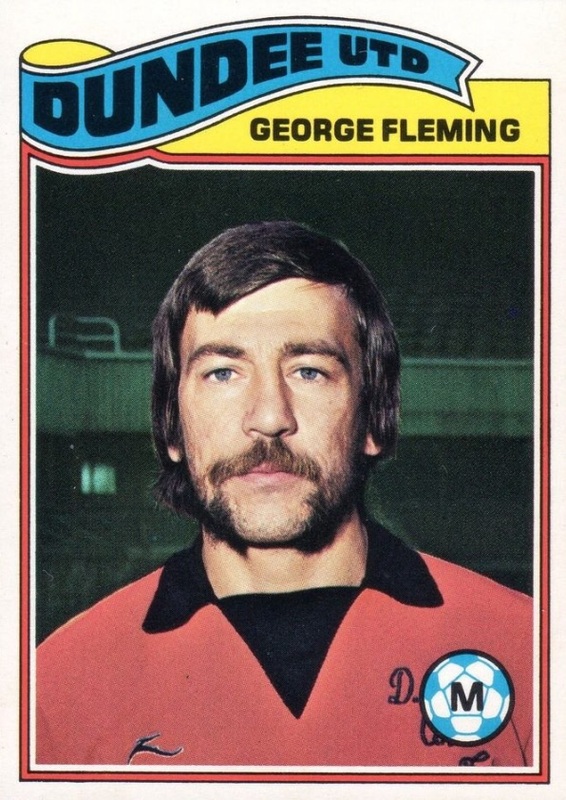 Dundee United's recent signing George Fleming made his debut for the Tangerines, while 'keeper MacKay came in to replace injured McAlpine. A return to scoring form by United as the fans welcomed goals with a vengeance against a Kilmarnock side which had no answer to the Tannadice tide of attacks. Two well deserved points these for a United side which showed signs of returning to real form again after several setbacks. Willie Pettigrew and George Fleming notched in the first half. Billy Kirkwood made it three after 50 minutes and then George Fleming wrapped things up for the Tannadice men with seven minutes left. 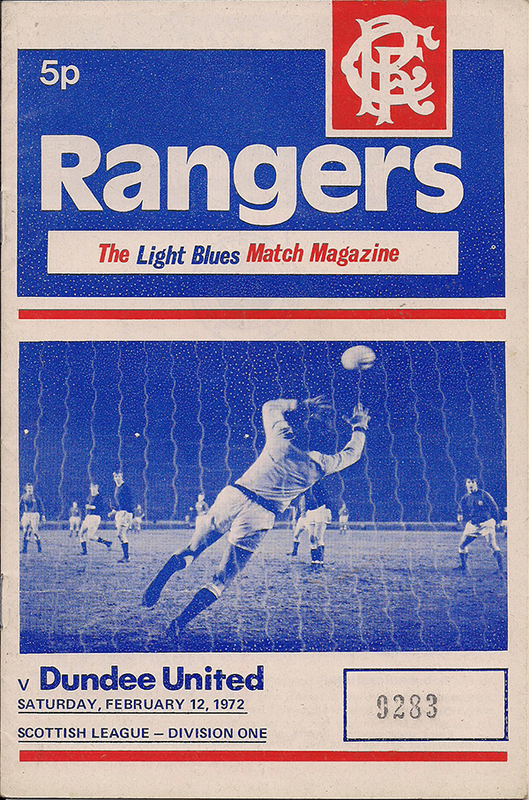 Rangers won 2-1 with Willie Pettigrew on target for United.